Chances are your shoe wardrobe has expanded to include sneakers that will never see a gym. No longer just a hipster statement of irony or a form of rebellion on the hip-hop and skater scenes, athletic-looking footwear has even become a mainstay on fashion's front row. Here are a few chill-day styles to consider for your collection. Sartorially speaking, Rihanna can do no wrong. Now, she has her own originally-designed shoe with Puma, and it's all over the Gram. Sleek and futuristic, this slip-on trainer kicks athleisure into high gear. 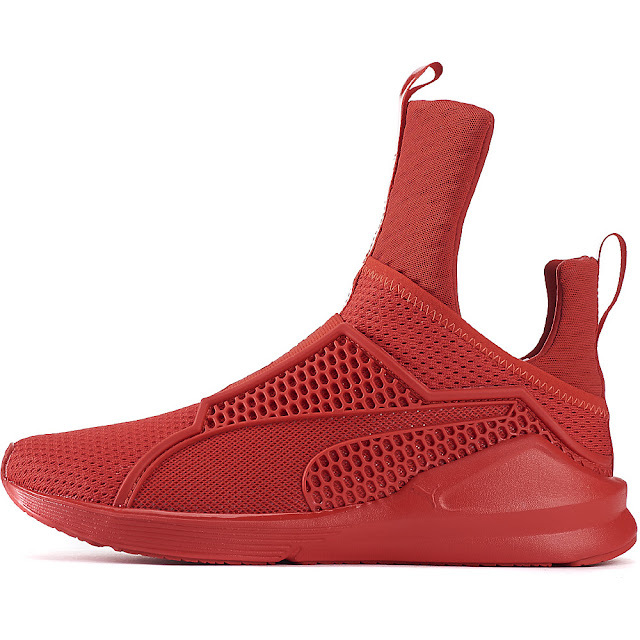 Cop your own pair of Puma Fenty Trainers for $179 from Shiekh Shoes. 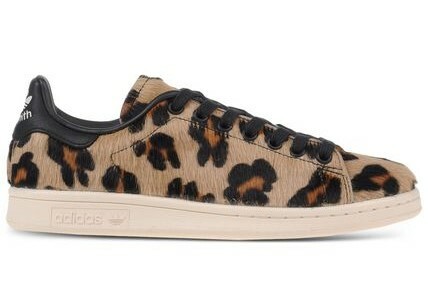 The classic Stan Smith by Adidas Originals has gotten pretty ubiquitous. However, add leopard print calf hair, and you've gone from borderline cliche to totally covetable. Available at TheCorner.com for $140. Declared one of Pantone's key colors of 2016, this shade of soft blush will be everywhere this season. 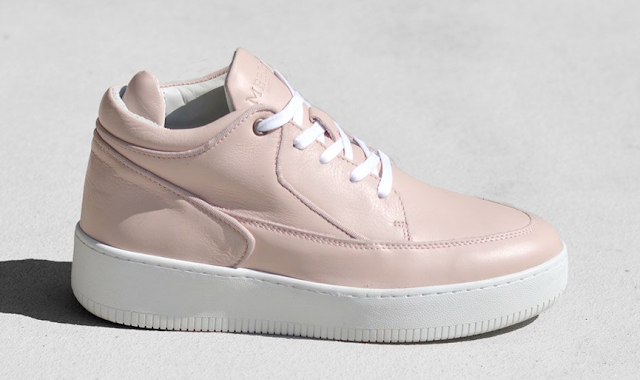 Mercer Amsterdam's Grand sneaker takes on the hue without going all-out girly. 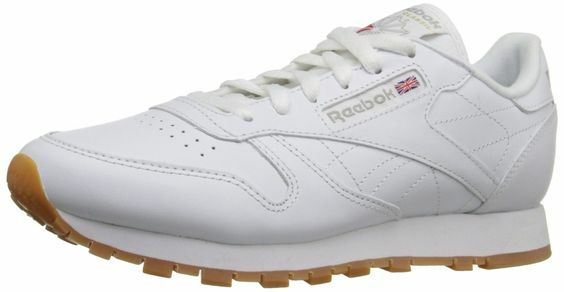 In luxe leather with a specially designed comfort insole, it's available here for $241. We saw their Fall 2016 offerings recently at Capsule Show in NY, and we suggest signing up for their newsletter to stay in the loop. We all need a pair of wear-everywhere sneakers with a bit of polish and pizazz. Boohoo.com has you covered with their Maya Shimmer Bootie. 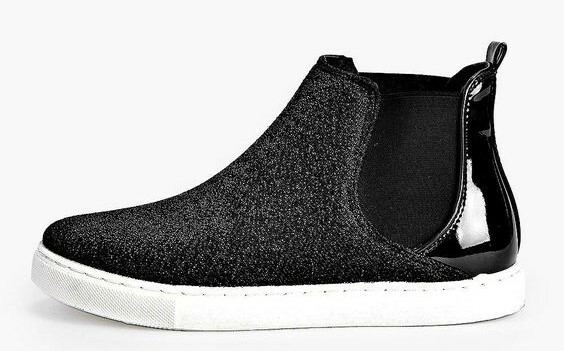 Perfect for everything from commuting to weekend outings, this Chelsea boot-meets-sneaker style is likely to be a go-to. Oh, and it's only $35! Will you be joining the sneaker squad this spring? What's your favorite style? *All images courtesy images unless otherwise noted. Shoes N Booze is an Amazon affiliate, so purchases made by clicking Amazon links will result in commission.